Pixar Animation Studios was formed in 1979 as The Graphics Group, a subsidiary of Lucasfilm’s computer department dedicated to producing computer-generated films. After limited success in the early 80’s, the company was bought from George Lucas by the late Steve Jobs, and under his guidance dedicated almost a decade to perfecting computer hardware that allowed them to produce the world’s first entirely computer-generated movie – Toy Story. Released in 1995, Toy Story changed the course of animated movie-making forever, turning Pixar into the innovators and masters of the medium. 21 years on, the company continues to set the benchmark for CG animated films, winning more than a dozen Academy Awards for their work. In this feature the MovieMuse team takes a look at Pixar’s first decade of film-making and shares their opinion on some of the company’s most beloved films. In a world where toys take on a life of their own when left alone, life is good in particular for Andy’s prized toy, Sheriff Woody. But when his owner receives an exciting new action figure – Buzz Lightyear – for his birthday, Woody’s jealous reaction brings about an adventure that goes way beyond the comfort of Andy’s bedroom. You always remember your first with fondness, but if you ever meet up later down the line they don’t always live up to your memories. Toy Story suffers a little from that with its bloated midriff, but it still remains a nice play on the coming of age buddy movie with a bit of Pinocchio thrown in for good measure. My biggest issue however is with the portrayal of humans in animated form. Whilst everything inanimate (as well as the toys themselves) are perfectly drawn, the lack of realism of the humans stops me from being fully taken in by the concept. 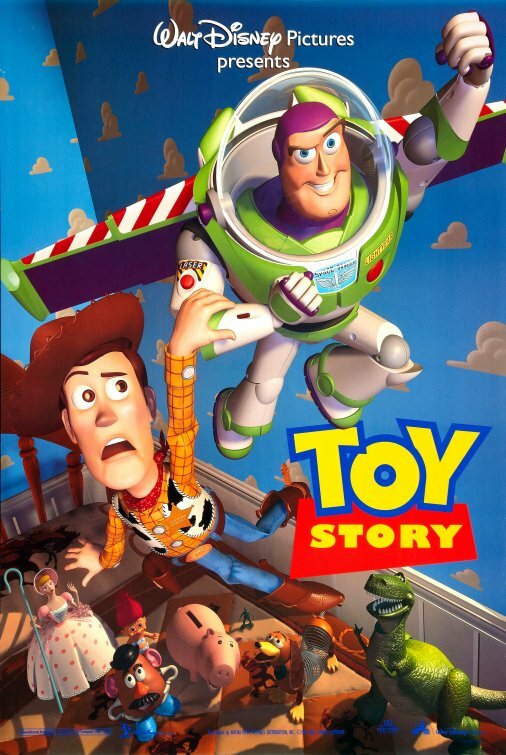 While it may have aged slightly, it’s still easy today to see why Toy Story was such a big hit back in 1995. A brilliant concept, superb computer-generated animation and a nice breadth of in-jokes means it still has that cross-generational appeal that makes it one of the most famous animated films of all time. It would be easy to remark how dated this film is now and to a lesser extent it is, but as the iconic film which heralded the era of CGI animated films it is still as engaging and likeable as ever and I still thoroughly enjoy it as much now as I did back then. Every year, the population of Ant Island gather food as an offering to the grasshoppers in return for their protection. When an imaginative but clumsy ant called Flik accidently destroys the offering, he is exiled to find ‘warrior bugs’ to help protect the colony, but ends up hiring a troupe of circus performers instead. With the odds stacked against them, this motley crew vow to help free the ants from the tyranny of the grasshoppers once and for all. For me this is where Pixar really hit their stride. The animation was above that of anything that came before (including the competing Antz) and the dichotomy of being an individual whilst still remaining part of the collective made for an entertaining and comic tale. In Flik and Hopper, Pixar also created my favourite of their protagonist/antagonist pairings. As Pixar’s back catalogue has grown over the years, it seems that A Bug’s Life has been somewhat forgotten. The story lacks originality, being more of a traditional Disney-esque tale about working together and standing up to bullies, but there is still plenty to like about the film. There are plenty of likeable characters, not to mention Kevin Spacey’s chilling baddie, and while some of the animation looks a little dated, the natural backgrounds still look gorgeous and full of life. It’s by no means Pixar’s best, but is still great entertainment. 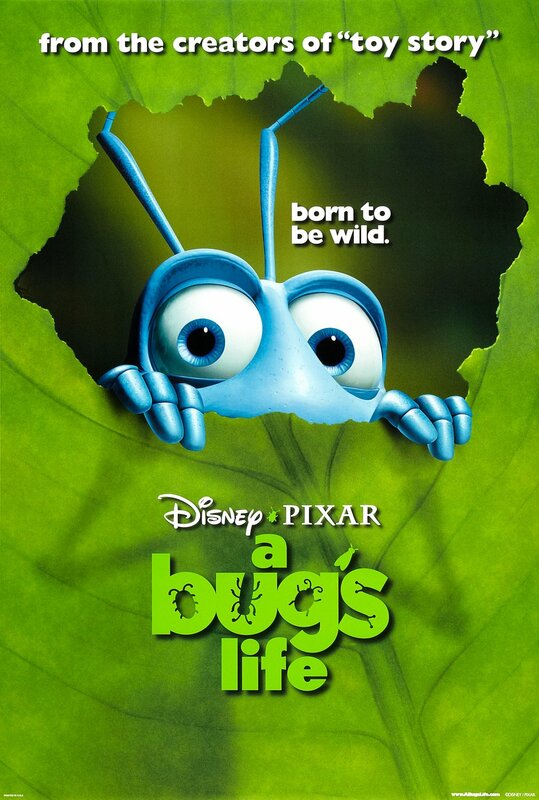 Living in the shadow of a film powerhouse such as Toy Story, it could easily have been overlooked at the time, but A Bug’s Life manages to create its own identity and is an enjoyable romp through the world of insects, with a clever story and likeable characters, particularly the circus troupe. It pushes all the right buttons for an animated movie and I enjoyed it. The residents of Andy’s bedroom return in an even bigger adventure than their first, as Woody is stolen by an unpleasant toy collector and discovers he is the crown jewel of a highly collectible toy range. Meanwhile Buzz and the other toys must rally together and brave a hazardous journey across town to rescue their friend. For the plot of Toy Story 2, Pixar introduced the maniacal toy collector, going to town on the whole idea of Woody being a valuable collectors item. 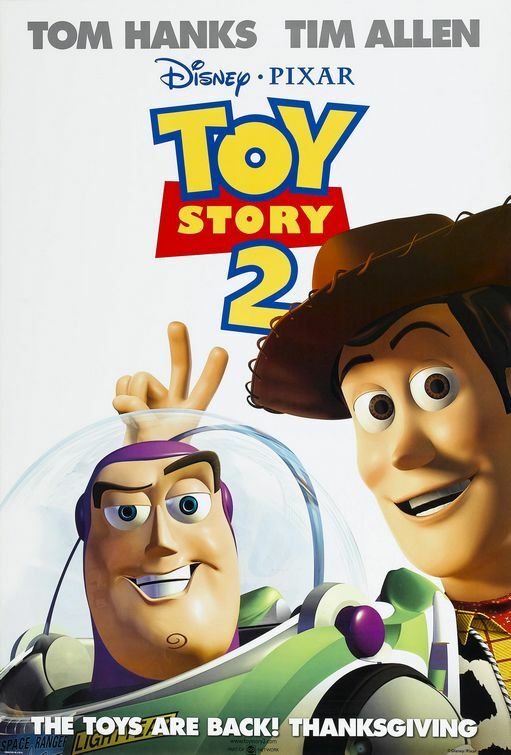 While not boasting the novelty factor of its forebear, there’s still much to enjoy, and it’s arguable with all the roles firmly set, the story takes centre stage, making Toy Story 2 a much more satisfying experience overall. Once again packed with wonderful characters and superlative animation, the sequel also adds satire of the toy collecting community, and saw the screenwriters adding greater emotional depth with the back story for new character Jessie. With more pop-culture references, laughs and action than the first film, Toy Story 2 surpassed its predecessor and still looks fantastic after all these years. Having to follow on from the now legendary merchandise juggernaut that is Toy Story was a mammoth task and I think they just about pulled it off. The story isn’t as coherent to me and the plot seems to go a bit skew whiff at times but this is still a good film and fits nicely into the Toy Story timeline. The fourth Pixar film took us to the world of monsters and introduced us to Mike and Sully, employees of the local power plant. Ingeniously, the monsters’ world is powered by human screams, harnessed via an interdimensional gateway that allows the monsters access to kids’ bedrooms. 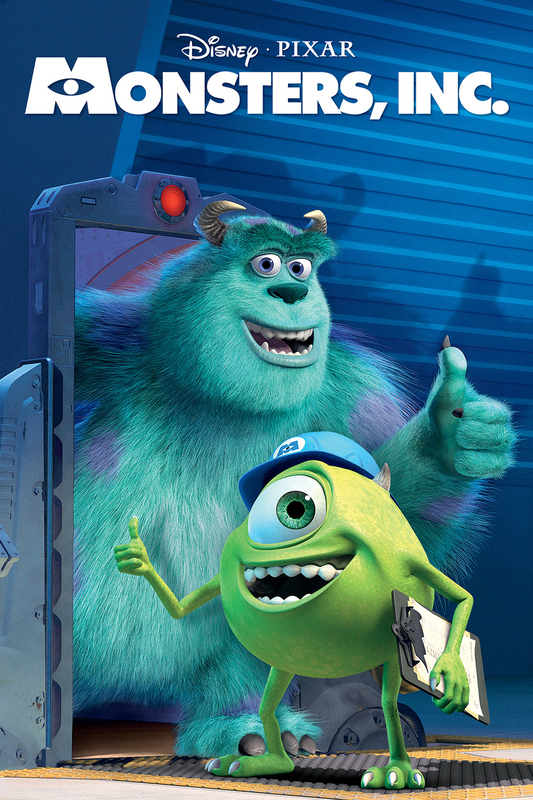 However when Sully accidentally brings back a little girl from the human world, the monster world is changed forever. Mike and Sully are Pixar’s best ever double act and the cutesy-horror story of monsters in the closet is told with perfect pacing and tons of heart. With a baby as its semi-lead it could easily have become too saccharine to take, but it wasn’t and it is probably the most accomplished of all the Pixar movies. Monsters, Inc. is my favourite Pixar movie. This was studio at the height of its powers – it could do no wrong. Funny, quirky, a little bit intense in places and the voice acting was spot on with Billy Crystal and John Goodman giving perfect vocals to their characters. I could watch it again and again. The Sci-Fi infused plot was a significant departure from Pixar’s preceding films, and to my mind is one of their most creative and impressive stories. It may not be as highly regarded as Toy Story by the majority, but this film proved the company was packed with talent and innovation, and Billy Crystal’s performance of Mike is amongst the finest examples of voice acting in the CG animated movie era. When his only son is captured by scuba divers, a nervous clownfish called Marlin must brave the open ocean, with only an absent-minded blue tang named Dory for company. Along the way they’ll meet sharks, whales and a group of bodacious sea turtles before reaching Sydney harbour to make their daring rescue. A story about a disabled Clownfish and an amnesiac Blue Tang sounds pretty weird even for a Pixar film, but they have somehow turned it into The Incredible Journey for the CGI generation. Whilst it isn’t a film I would re-watch too often, Finding Nemo is a genuine classic of the genre and introduced some wonderful and unexpected heroes. Maybe I was getting older and more cynical, but Finding Nemo was when Pixar became just a bit too cutesy and its films began to lose their appeal for me. It’s a decent enough animated movie, and everyone else seems to like it, but after Toy Story, its sequel and Monsters Inc, it felt like a step down for me. 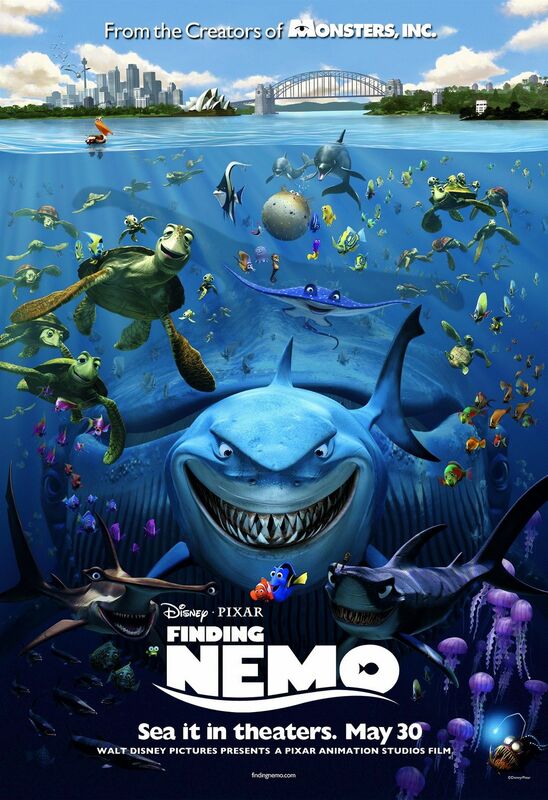 Looking back I was quite cynical about this when it was released and thought it was just another film created solely to sell merchandise, but on revisiting it I really enjoyed the underwater world, the funny characters and I actually cared if they found Nemo – surely that says it all! Bob Parr is a middle-aged insurance salesman, living with his wife and children in suburbia, but the entire family has an amazing secret – they have super powers. Bob yearns to return to his true identity of Mr Incredible and when his former number one fan returns as an egomaniacal super-villain, he and his family must abandon normal life and help save the world… and each other. A premise that couldn’t go wrong. Or so we thought. A rather dull tale of a not very super family of heroes. Certainly Pixar’s worst of the early years and a massive missed opportunity that still hasn’t been fulfilled. This film has a brilliant concept, but for some reason it just doesn’t engage me like the earlier movies do. The characters are not particularly lovable, and while there are plenty of great action sequences, the story is predictable and surprisingly lacking in humour. 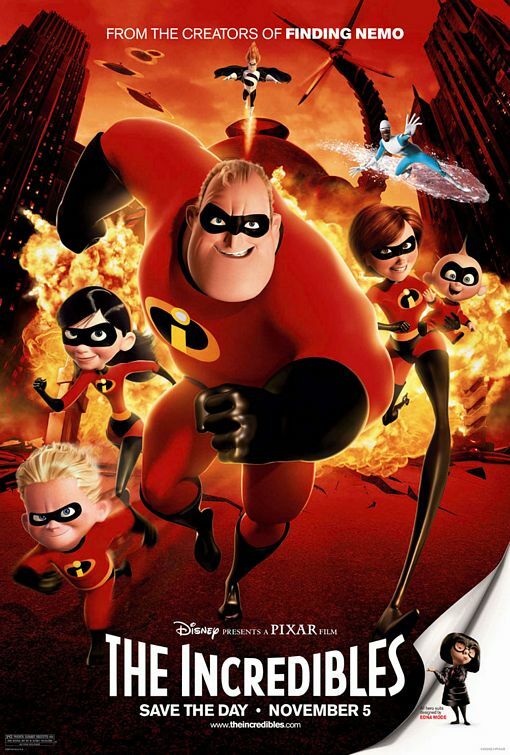 It certainly isn’t a terrible film, but compared to the high standard set by its predecessors, The Incredibles is the low point of Pixar’s first decade of work. An animated film seems a natural media to portray characters with superpowers, and Pixar made the most of this with The Incredibles. Personally I want to like the film, and in parts I do, but there is just something I can’t quite put my finger on as to why I don’t enjoy it as much as I think I should. I do like the villain but it all seems to meld into a standard on rails affair which detracts from the overall experience. As you’d expect from the masters of the CG-animated movie, Pixar’s first decade of work is packed with great movies and introduced some of the most lovable characters in cinematic history. The tail-end of this period saw a small drop in quality, but as we all know, the next decade saw the company reach even greater heights.